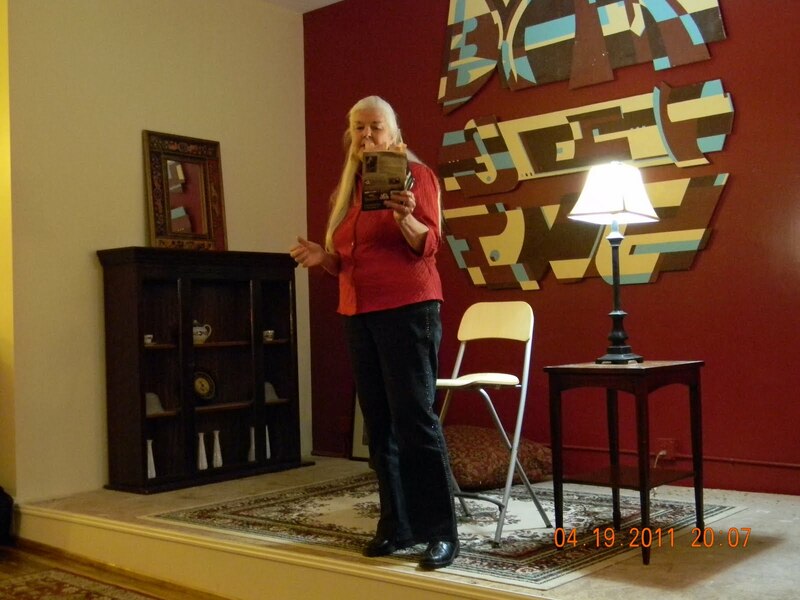 Here’s a pictorial blog today on last night’s great Poetry Fest sponsored by SWAG Writers. 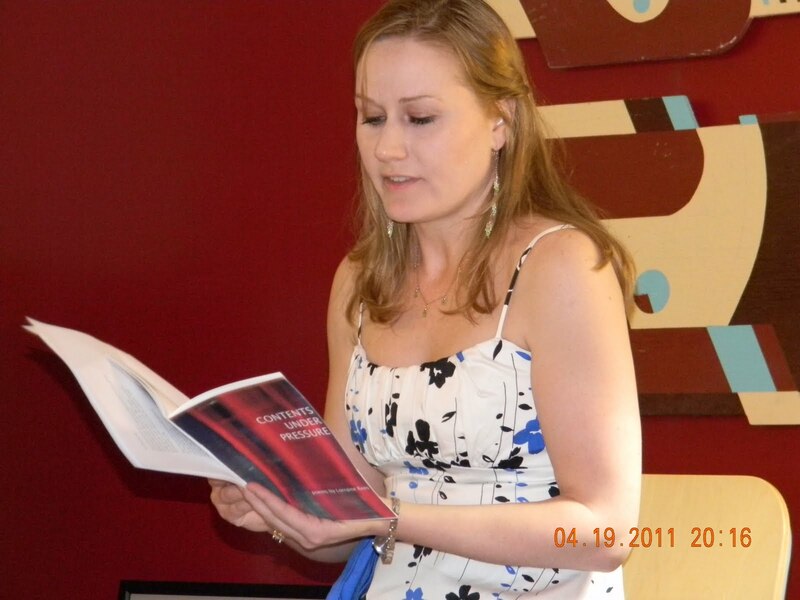 The featured poet was Sarah Kennedy, an Associate Professor of English at Staunton’s Mary Baldwin College. 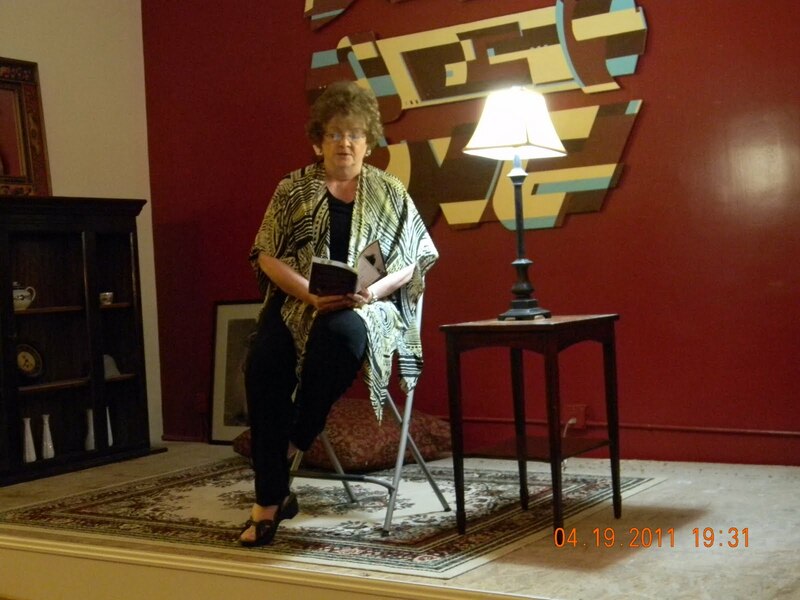 She read from Home Remedies, one of her six books of poetry. Home Remedies contains poems based on real persons from 17th and 18th Century Ireland and Wales. Very evocative to my Irish half. 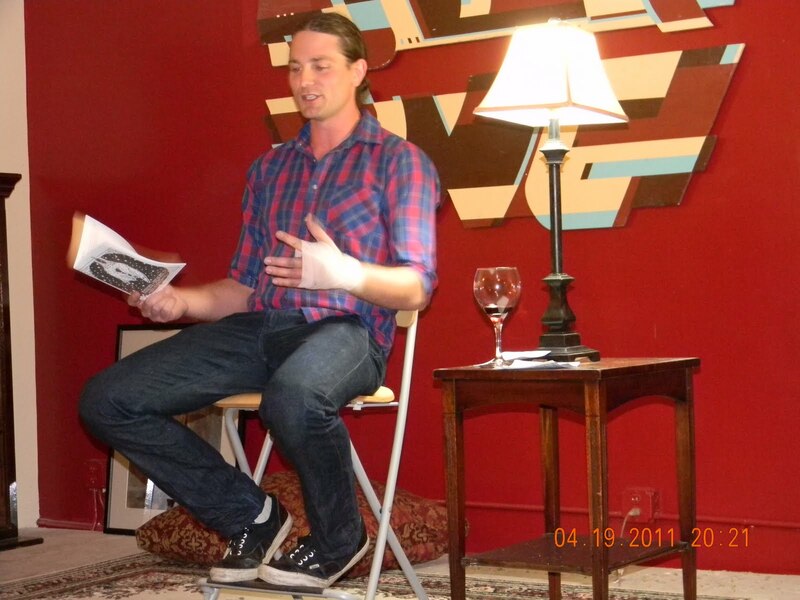 Shea Anthony is a local poet from Fishersville who read from The Forgotten Theatre, one of his two books of poetry. 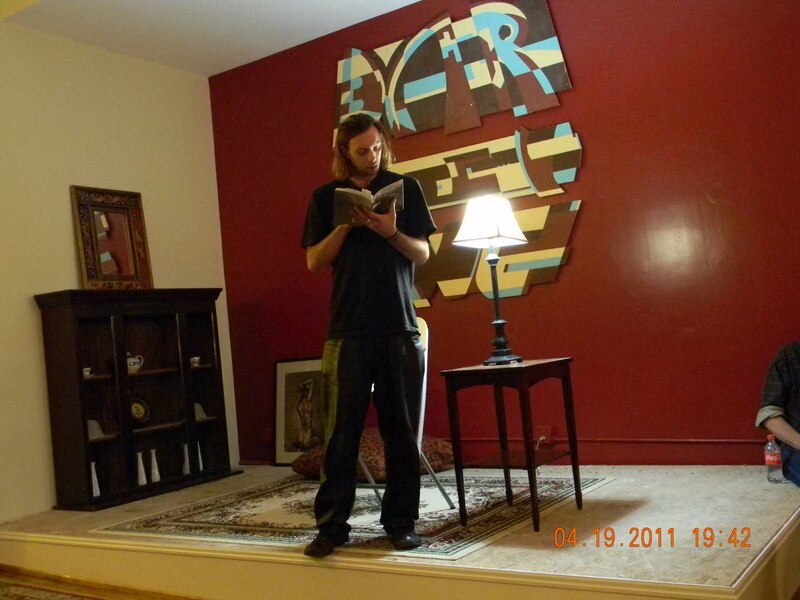 Reminiscent of musicians Jim Morrison, Kurt Cobain, and Trent Reznor, Shea got us all participating in his reading. A great contemporary voice. 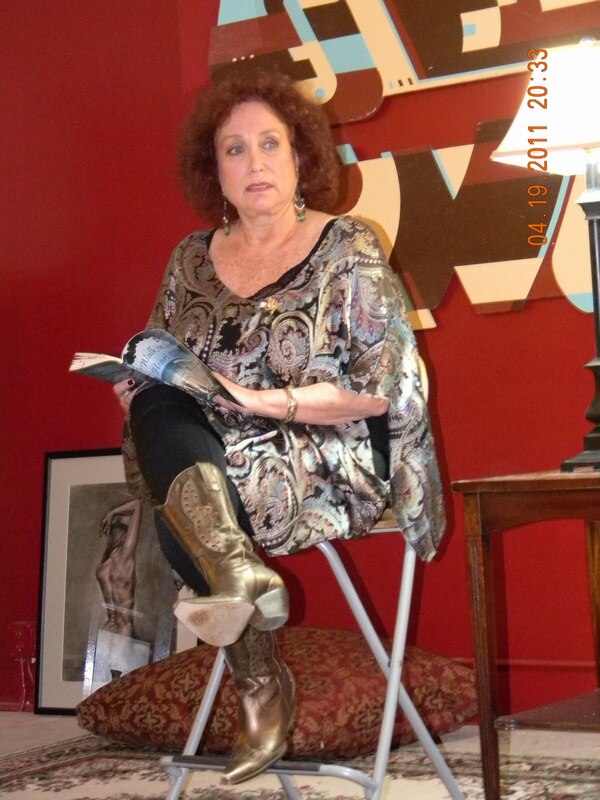 And, let’s face it, anyone who does a poetry reading in the Valley in black leather pants deserves our attention! Elizabeth Doyle Solomon often gets inspired while driving the roads of the mountains and the Valley. When that happens, she jots the first few lines on the steering wheel, then finds a place to park to write the rest. Hence, she read from her second book of poetry, entitled, appropriately, The Steering Wheel Poems. Her poems celebrated the wildness of nature around us and lamented how easily we pave over those places of beauty. 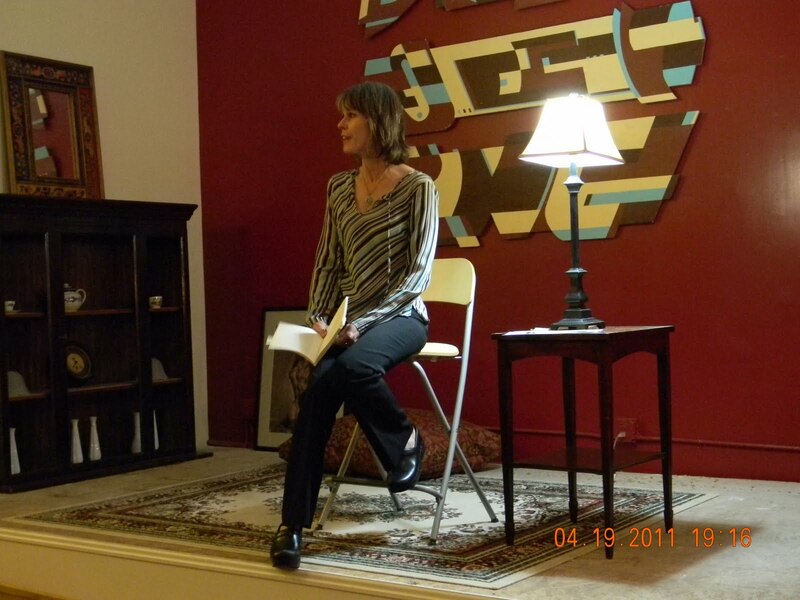 Lorraine Rees from Charlottesville read from her second book of poetry, Goodbye Zoo. Her poem about a college ethics professor who hits on all his female students was amusing but full of pathos–and very authentic. She describes herself as the one who “got away.” Great insight. Paul Somers rocked and rolled us with energetic readings from his first book of poetry, Animal Insight, and from several as yet unpublished poems. Later we talked about how he uses humor in his poems to illustrate serious aspects of his life in rural North Carolina. Deeply profane and poignant. The last, but not least, poet of the evening was Linda Levokove, who read from her first book of poetry, Walk on the Heart Side. Her poems are glimpses, earthy and explicit, into romantic relationships. I related to these most of all because her poems seemed as if they were written expressly for the most important relationship of my life and captured my sense of loss. Overall, though, they so vividly portrayed the wonders of a deep relationship, I could remember all that was good, and I thank her for that. And let us not forget our hosts for the evening, The Darjeeling Cafe in Staunton, VA, and our master of ceremonies, SWAG Writers founder Cliff Garstang, author of the award winning linked short story collection, In an Uncharted Country.